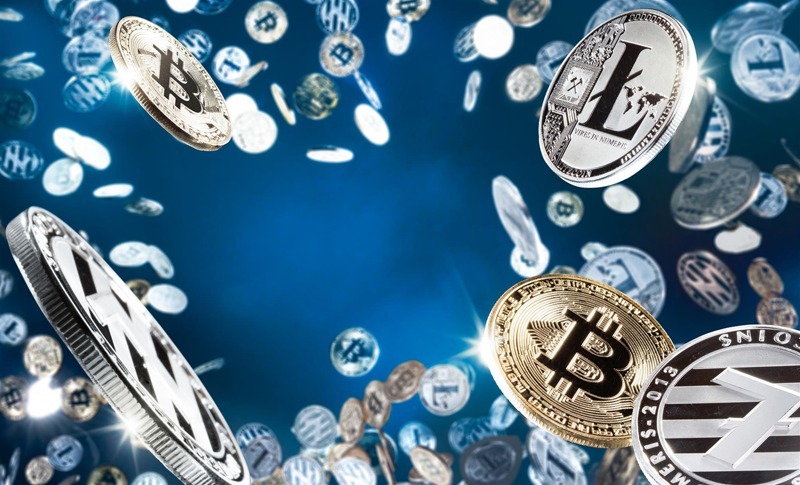 Cryptocurrency is widely known as a digital or virtual currency used as a medium of exchange for either online or offline transactions. We are of course in the digital age, and it’s no surprise that the possibility of having a digital currency has emerged. Many still doubt the validity and sustainability of cryptocurrency. And there is also the fear that such digital currency could face the same financial cyber-attacks and digital crimes that most non-financial digital companies face in this era. After a Tokyo-based cryptocurrency exchange, Mt. Gox, was successfully hacked in 2014, losing about six billion dollars, at the time, many countries tightened up laws governing the operation of virtual currency exchange companies. This implied that such companies would have to abide by the same rules (or slightly revised) that govern other existing (or new) financial institutions or money transmitting companies. With this in place, many people reconsidered using cryptocurrency. Countries like Japan, US, Denmark, Sweden, South Korea, Germany, Netherlands, Finland, Canada, UK, Australia have started accepting cryptocurrency as a mode of online or offline payment for both good and services. The obvious question would be why these governments are now receptive of permitting its citizens to use cryptocurrency as a medium of payment? Here are some reasons why. The Japanese government legalized about 13 cryptocurrencies and reviewed laws governing their operations. This move positioned Japan as the top cryptocurrency friendly economy and the bigger Bitcoin market. This action also increased the faith people had in cryptocurrency. Rather than wait for the traditional method of having access to money, where the central bank is in charge of issuing currencies, people now have a possibly unlimited access to money which cannot be traced or linked to the owner (or the person who spends it). Just like other existing nonvirtual financial institutions and money transmitting companies, tax laws would also apply to payments made with cryptocurrencies and incomes generated. Policies governing tax payment would definitely vary based on laws governing each country. In Canada for example, cryptocurrencies are treated as investments and just like any other investment option or package, investors are taxed 50% of gain made which is added to the income (from other sources) in a year. There are however other less stringent tax rules, depending on whether the person is a normal buy and hold investor or a high-volume trader. Many governments have been pushing for a cashless economy, and the reasons are quite clear, one of which is the need to eliminate the cost incurred to save printing new notes when old ones are removed from circulation (and other related costs). Asides that, going cashless eliminates reliance on conducting transactions in banks and ATMs. This makes it very easy for people to go about conducting transactions freely, anywhere and anytime. This will also make it easier for citizens to report their income and explain their expenses accurately, which also makes it easier for the government to know how to tax each person. To become king of the jungle, one needs to eliminate others in the jungle by doing something unthinkable and different, automatically positioning that person at the top. Countries are secretly racing to lead innovations that will position them as number one in the world. No one wants to be left out in a rapidly changing world. Cryptocurrency is still very new, and there is a lot that still needs to be done, to fine-tune it in order, to maximize all its potentials fully. It is therefore not surprising that Japan, one of the world’s most advanced society in terms of its technological capabilities and innovations, quickly jumped on the opportunity to lead the cryptocurrency space by legalizing over 13 cryptocurrencies and creating a “rough sketch” policy to govern its operation in the country. This strategic yet straightforward and risky move makes Japan responsible for over 50% of the global trading volumes of Bitcoin. Other countries like Canada, the US, and the UK are also working fast, though treading carefully, to explore the opportunities of cryptocurrency bearing its citizens in mind. Since the heavy scrutiny of Facebook data usage in 2018 (the Cambridge Analytica saga), many apps, software companies, social sites, and so on, have been very careful about how data is collected and used. In this digital era, it is easy to profile an individual based on data that can be acquired and such data can be used against the person. Millennials are however very wary about how information collected from them is used. It is not surprising that one of the many selling key points of cryptocurrency is that users own their data. Even though some governments would prefer to have access to such data as well (maybe to better understand its citizens and address specific needs), the need to protect its citizens outweighs theirs. When the people calling the shots decide to pitch their tent somewhere else, they have seen something that others are yet to see. For long, gold has been considered to be one of the best investment options, until cryptocurrency emerged. And it has been rumored that a reasonable number of gold investors have also added cryptocurrency (Bitcoin) to their investment portfolio. Also, big brands like Microsoft Corporation, PayPal, Shopify, are currently accepting cryptocurrency (Bitcoin). Founders or CEOs of these brands are smart enough to know it is not wise to go into something they don’t understand. According to a report released by Shopify, the brand now supports “more than 500,000 businesses in 175 countries. More than 1.2 million people are actively using the Shopify backend platform”. Now if the statistics of Microsoft Corporation and PayPal is combined with that of Shopify, it is reasonable enough to tell any forward-thinking government that there are opportunities hidden in it. Of course, such opportunities would come with problems (and risks) which are definitely surmountable. And that is why countries like Japan, Germany, and the US are headlining conversations about the future of cryptocurrency.